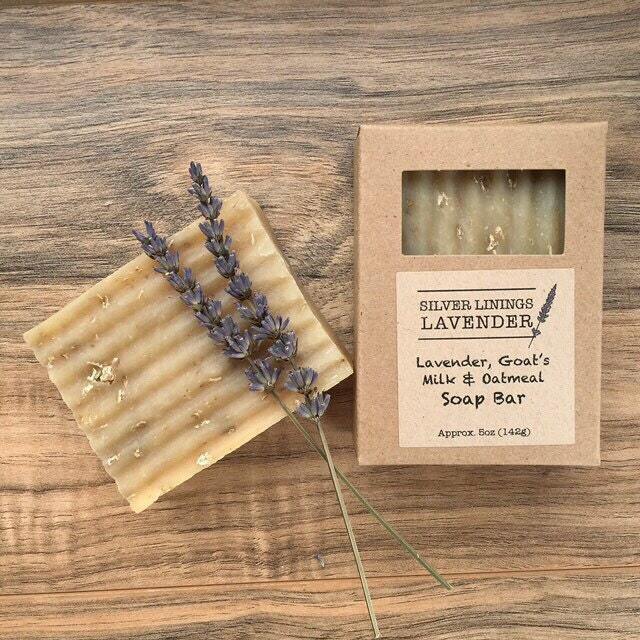 This listing is for a Natural Moisturizing Lavender, Goats Milk & Oatmeal Soap Bar. 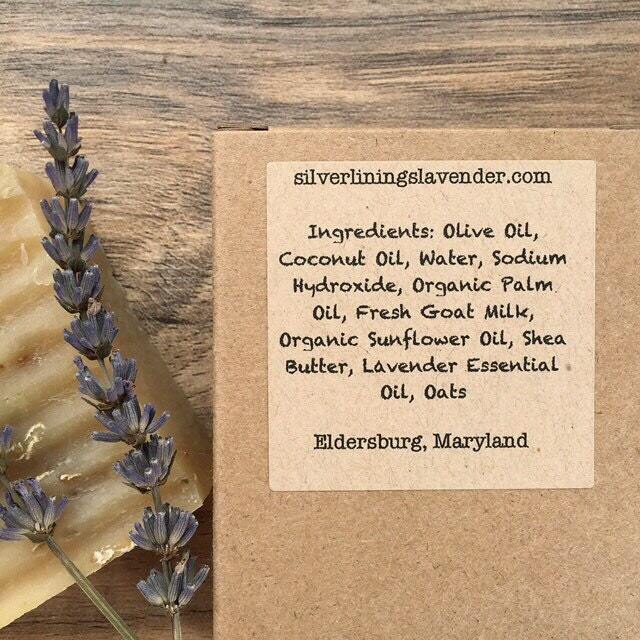 This soap bar is packed-full of amazing benefits and is incredibly hydrating; it will soothe your skin and your soul. The best part about this product is the beautiful lavender scent that smells just like a field of vibrantly blooming lavender flowers. I was not expecting my order before Christmas, but it was shipped priority to make sure that it arrived!! The smell of the soap, even before the box is open, is amazing!! I will order from this seller over and over again. This soap smells amazing and feels so fantastic. If I could buy a lifetime supply of these soaps I totally would. I would give this soap 100/5 if I could! I am absolutely in love with these bars! I got a sample of this bar initially with a previous order, and after using them one time I had to get more! The bar has pieces of oatmeal in it that work to exfoliate the skin and it makes me skin feel tingly and clean! There are always little extras in each shipment, and shipping is always fast! I can’t say enough good things about this soap or this shop! I love this soap! The lavender scent is lighter and smells wonderful. And my skin feels nice and soft after using.